Why do you need an attractive Business Model? 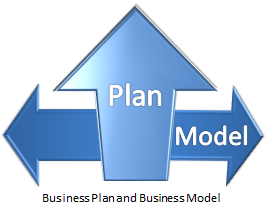 Do you need a Business Model or Do you need a Business Plan? What is the difference?A business model has more to do with how your business works and the plan has more to do with how you will achieve your business goals. You: What do you know about this business and market? What qualifies you to make a success of the company? How committed and passionate are you? The business: How does it work and why would it succeed? How good are the people and what systems are in place? The market: Is there really a market for the products or services? Who is the competition? What are the prospects and risks? All the above can be captured in a business model. Some people prefer evaluating the model over the plan because it also elaborates on the qualitative aspects (the ‘EQ’) of the business. You need an attractive Business Model to attract funding because that’s what persuades people that your business really will work. You. What is it about you that would give me confidence that you’re right the person for the job? Why will you make this business a success? A big reason for the failure of small business is lack of expertise of the owner. You may be an entrepreneur and you may know your business sector, but how good are you with money, at marketing your product, at being organised and getting the paperwork done? How good are you with people, at hiring them, leading them, listening to them, communication with them, disciplining them? Do you know how to get people to share your enthusiasm and commitment? And what do you really know about this business, how long have you worked in it, do you know what can go wrong, can you spot opportunities for improvement, do you catch problems before they happen? Maybe you are a visionary, but do you have the relevant qualifications where they are necessary? How does your business work? How competent and committed are your staff? What equipment or technology does it use? 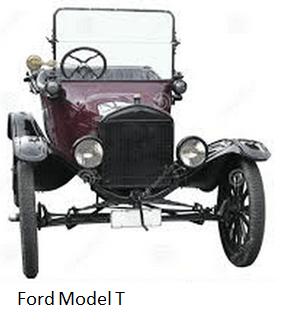 Are parts readily available and maintainable? Are your systems efficient and effective? How much does it cost to run your business? How and when will or do your customers pay you? How do you make sure that you do get paid? Will your cash-flow remain healthy through several lean months (take in more money than money going out)? Does the business have sufficient reserves to cover its debts (liquidity)? Where is your business physically located in relation to its market? Can your business adapt to economic to technological changes? Can it diversify or specialise if necessary? Are there ways to improve the business? What opportunities and risks must the business respond to? Ask yourself: Why is no-one else offering it? Do people really need it, or is that just your perception? Have you researched and understood your market? Why will people be willing to part with their hard-earned money to buy from you as opposed to your competitors? Can you compete on price with the ‘big boys’ (they can buy in volumes more cheaply)? How will prospective customers know about your business (advertising, referral business…)? If your market is ‘everybody’, how will you focus your promotion? These are the kinds of questions that a financier might want to ask. Can you answer these questions honestly to yourself and still believe that you will have a viable business tomorrow? Lastly, present your model attractively (you can use one of the free templates that come with MS Office), it tells people: I believe in my business. Click here if you want to discuss how we can help you with your business model.